This month's Moms of Masterbooks' review has been a fun one for us. 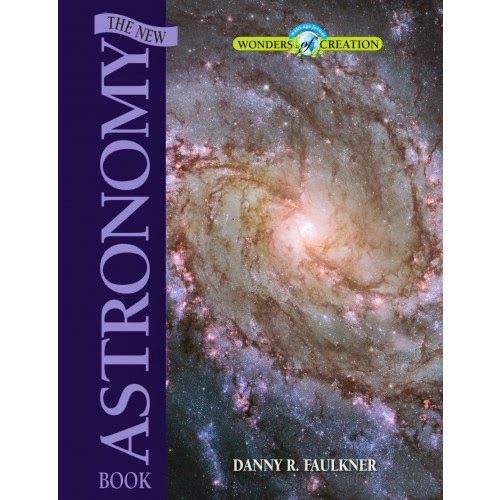 The New Astronomy Book by Danny R. Faulkner is perfect for unit study. Last year my middle son studied Astronomy all year so this book has been a nice refresher and addition. You can purchase your copy of The New Astronomy Book at nlpg.com for $16.99. This 96 page book has a unique feature. It is broken up into three different levels. Level 1 is for all students. Then Levels 2 & 3 are for more advanced students. I love that feature because it gives the book life for many years for all ages. There are many topics covered over the 16 chapters which is pretty awesome because your bound to find a topic that is interesting to you. I also love that this book is written from a Christian perspective. This is very important to our family's beliefs. Don't forget to join the Moms of Masterbooks on Tuesday September 30 at 8pm for our monthly Facebook party! We will be discussing this book this month!